If you’re one of those people that knows you can always count on massaman curry for great taste and extraordinary flavor and vegetables, then it may be time to branch out a bit. There’s no denying it’s an excellent curry — it’s one of our most popular curries — but there’s a whole world of flavor out there for you to try when it comes to Thai cuisine. At Twist on Thai café, we do just that — put a popular twist on Thai food. We have plenty of classic Thai dishes you’ll love, but we also specialize in unique Thai cuisine that you’re unlikely to find anywhere else. On top of this, many of our dishes are seasonal! This means you should hurry into our Thai restaurant the next time you’re looking for places to eat in Hopatcong — otherwise the Thai dish you wanted to try could be gone! 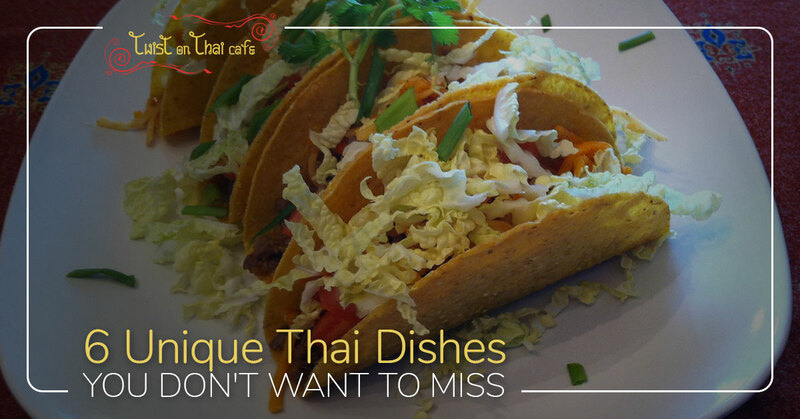 If you love Taco Tuesdays or love tacos every day of the week, then why not try Thai tacos the next time you’re looking for local places to eat? We load up four crispy taco shells with spicy ground beef or diced tofu, and then the toppings have seemingly no end! Your taste buds will enjoy onions, garlic, jalapeños, and cheese, of course, but you’ll also enjoy sweet Thai basil. Say hello to your new favorite Thai dish: Salmon Basil. This pan-seared salmon fillet features string beans, baby corn, onion, bell pepper, and mushroom, and it’s topped with Thai basil sauce. Add jasmine white rice and crispy Thai basil and you may just be in heaven. Not sure where you could get authentically cooked duck in Hopatcong? Look no further. This sliced roast duck is topped with a sweet and sour tamarind sauce and is served with golden-fried shallots, broccoli, and jasmine white rice. You thought you knew drunken noodles, and then this Thai dish came along and stole the spotlight. Indulge in Duck Kee Maow — stir-fried rice noodles with slices of roast duck, bell pepper, mushroom, onion, and sweet Thai basil. 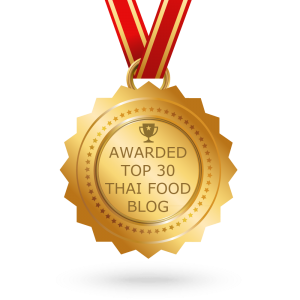 Topped with a spicy and sweet chili sauce, Thai cuisine doesn’t get much better than this. The toppings alone on this Thai dish make it worthy of your palette: onions, bell peppers, scallions, sliced cucumbers, and chunks of pineapple abound. It’s served, of course, with a crispy, fried flounder fillet and a Thai sweet and sour sauce you’ll love. Welcome fall to your diet with this classic pot pie with a Thai twist: it’s a creamy and spicy green curry baked into the pot pie — and there are a lot more fall Thai dishes where that came from. When you’re looking for places to eat in Hopatcong, we hope you think of Twist on Thai café. We’re a vegetarian-friendly restaurant that serves authentic Thai cuisine with a tasty twist. Check out our menu and make a reservation today at our local Thai restaurant.